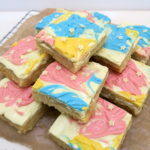 I’ve seen unicorn themed food everywhere over the past few months and it inspired me to make this Unicorn Millionaire’s Shortbread. 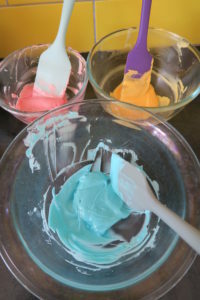 As well as cakes and cupcakes featuring golden horns and glittering manes to look like the mythical creatures themselves, food decorated with candy pastel colours is also part of the trend. 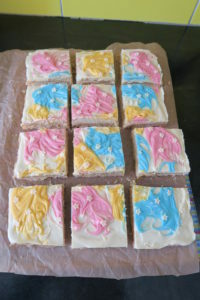 I’ve used pastel coloured candy melts and chocolate stars to give this delicious shortbread a magical appearance! 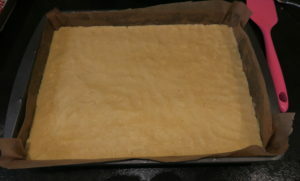 I started by making the shortbread layer. 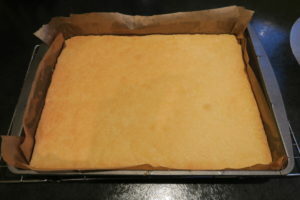 I mixed together 300g plain flour, butter and 150g caster sugar then pressed it into the bottom of a lined traybake tin until it was compact. Then I baked it on 160C/325F/Gas Mark 3 for 35 minutes until it was golden brown. 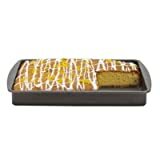 I left it in the tin and put it on a cooling rack to cool completely. 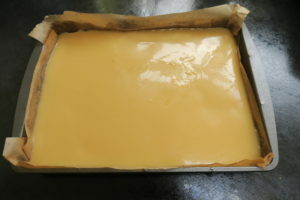 To make the caramel layer I put 100g butter, 100g light brown sugar and a can of Carnation condensed milk (397g) into a pan on a low heat. 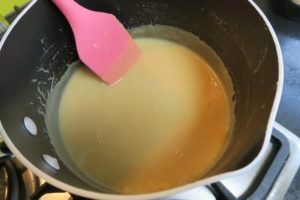 Once the sugar had dissolved I turned the heat up and let the caramel bubble for 5 minutes whilst I stirred constantly. 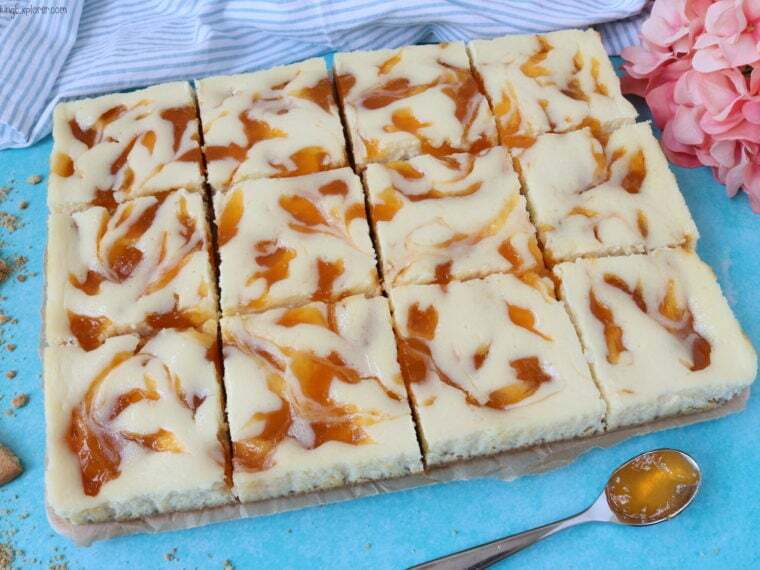 I poured the caramel on top of the shortbread and put it in the fridge to set. 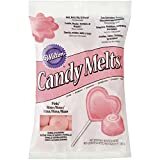 For the chocolate topping I melted the white chocolate, pink candy melts, blue candy melts and yellow candy melts in separate bowls. First I poured the white chocolate over the caramel and smoothed it out, then I added blobs of the candy melts all over and used cocktails sticks to swirl them around. 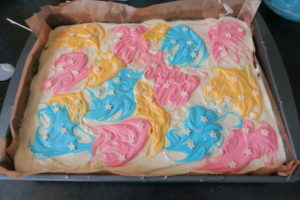 I also added some white chocolate stars for an extra magical touch! After the chocolate had set, to slice up the bars I ran a knife under hot water to heat the blade. I gently pressed it onto the chocolate so it melted it and cut through without cracking the chocolate. 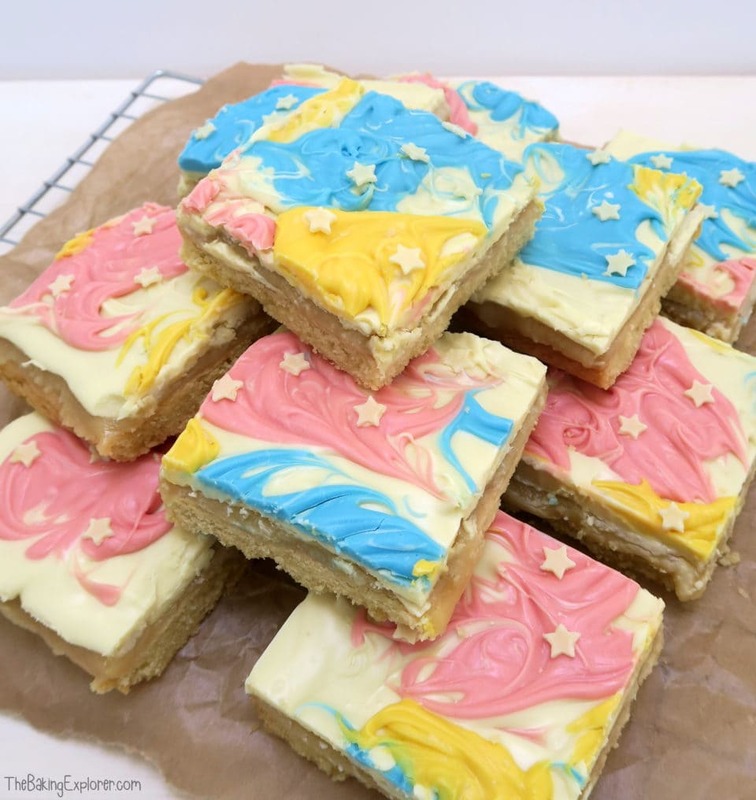 The Unicorn Millionaire’s Shortbread base is buttery and melt in the mouth, the caramel is rich and gooey and the white chocolate is sweet and creamy. I cut some of the pieces in half again, but my partner was happy with a big slice as he loves white chocolate! 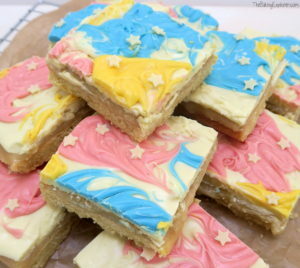 This Unicorn Millionaire’s Shortbread would be great for a children’s birthday party. 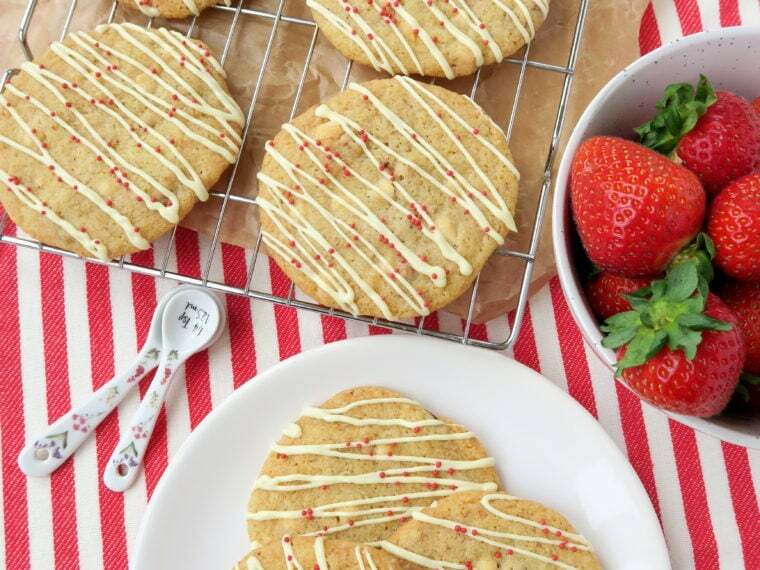 I’m linking up with We Should Cocoa hosted by Tin & Thyme, Cook Blog Share hosted by Hijacked By Twins, and Bake of the Week hosted by Casa Costello. To make the caramel put the ingredients into a pan on a low heat. Once the sugar is dissolved, turn the heat up and let the caramel bubble for 5 minutes whilst stirring constantly. Do be careful as the caramel gets extremely hot! Thanks Kirsty, they were rather yummy if I do say so myself! What a fantastic idea. I love these, they’d be so good for parties. They would be awesome at parties, I agree! My 5 year old daughter would love this! She loves anything to do with unicorns and anything pretty and colourful – I’m sure she’d want to eat far too much of it! I haven’t noticed the unicorn theme. Maybe I have been wandering around with my eyes closed! The millionaires shortbread sounds lovely though….. although I do find Candy Melts to be very very sweet! I’ve seen unicorn themed bakes all over the internet too and still haven’t quite grasped what it’s all about. I bet kids would love these. Thanks for sharing them with We Should Cocoa. It’s all about pretty colours and magic 🙂 thanks for hosting We Should Cocoa! Very pretty and trendy! I imagine it would be a big hit with my guys.